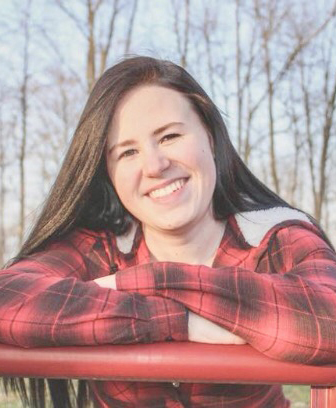 Obituary for Karli Nicole Clister | Glunt Funeral Home and Crematory, Inc.
Karli Nicole Clister, 19, of Albion, passed away on Saturday, July 7, 2018. She was born in Latrobe, Pa on June 6, 1999, the daughter of Tawni I. Hoke and step daughter of Patrick “Chappy” Chapman. Karli was the most kind and loving person you would ever meet. She was always there for others with her beautiful smile and her big heart. She loved her horse, Cisco and her dog, Simon. She graduated from Northwestern High School in 2017. Other than her parents, survivors include her sister, Autumn Calkins and her husband, Patrick, of Andover, Ohio; also, many aunts, uncles, and cousins. Friends may call at the Glunt Funeral Home and Crematory, Inc., 210 Erie Street, Edinboro, on Friday 4 to 7 p.m. A service will be held there on at 7:00 p.m. with Karli's uncle, Jeff Hoke officiating. In lieu of flowers, memorials may be made to the Glunt Funeral Home and Crematory, Inc., 210 Erie St, Edinboro, PA 16412 to help with funeral expenses. To send condolences please visit www.gluntfuneralhome.com.